Home » Wordpress » Why Choose Hostinger Web Hosting for Your Websites & Blogs? 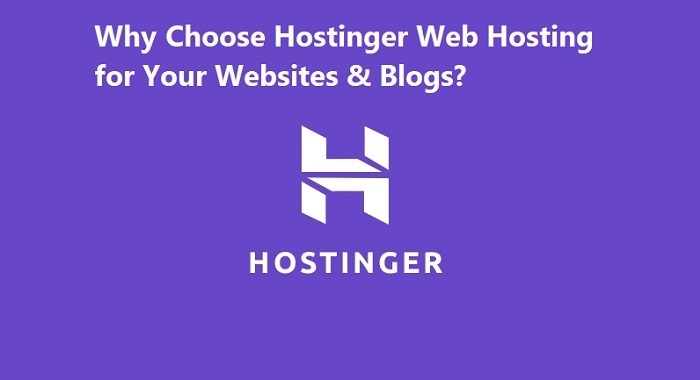 Why Choose Hostinger Web Hosting for Your Websites & Blogs? 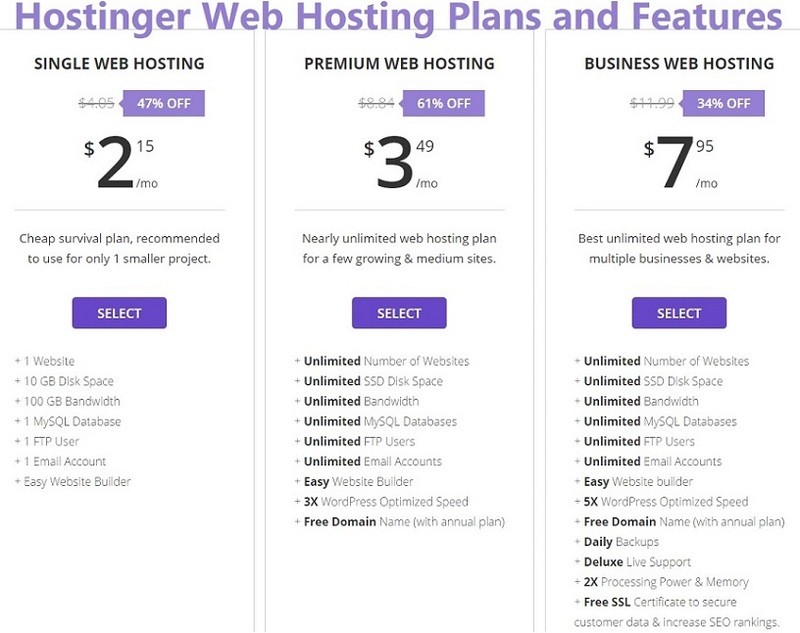 If you're thinking to start a new website or blog for personal, professional, or business purpose, or if you're already running a website or blog, but facing any kind of issue with your current web host, then you can consider Hostinger Web Hosting service provider, which is known for its quality and premium web hosting features in cheap price. There are many web hosting companies already offering similar kind of services to webmasters, but to Choose the Best Web Host for your WordPress, Drupal, Joomla, Magento, Prestashop, or OpenCart kind of websites needs some serious research and homework, to avoid any kind of trouble and issues in future. So today, we are writing this post on Hostinger Web Hosting Plans and Features Review to give users like you some know-how about this Cheap Web Hosting Provider. Hostinger is popular web hosting company due to its affordable and inexpensive Web Hosting Plans, which provides premium paid features and functions in low-cost with 30-days money back guarantee, which means webmasters and users like you can avail Hostinger Web Hosting packages for free upto 30-days. If you are going to cancel your hosting plan within 30-days, the company will give you full money refund without asking any question. I think this is the best way to build trust amongst new customers. Hostinger is already serving Web Hosting services to the well-known brands and companies from all around the world. As of now, they have served approx. 29,000,000+ clients. Also, they have partners such as HuffPost, Forbes, TechRadar, Medium, Bloomberg, TrustPilot, and many others. There are 3 types of Hosting Plans offering by Hostinger i.e. Single Web Hosting, Business Web Hosting, and Premium Web Hosting. All these plans come with 30-days risk-free guaranteed. Hostinger provides lots of features, regarding on the plan you chose. For example, with business plan you can get probably everything you could ever want: unlimited Domain Additions, Unlimited SSD Disk Space, Unlimited Bandwidth, Unlimited MySQL Databases, Unlimited FTP Users, Unlimited Email Accounts, Easy and Quick Website Builder, Free Domain, Free SSL Security Certificate, WordPress Optimization, Speedy Servers, SEO-Optimized, Dedicated 24/7 Customer Support via Email and Live Chat, 99% Up-Time Guaranteed, Daily Data Backup, and many other premium features in cheap price tag. You can also check the premium and single hosting package and find what best fits your needs. Hostinger Single Hosting plan comes with 47% discounted price on very first purchase i.e. a $2.15/per month. Business Hosting plan comes with 34% discounted price i.e. $7.95/per month on initial purchase. Whereas, Premium Hosting Plan comes with 61% discounted price i.e. $3.49/per month on first registration. All these prices may change in future so do check out Hostinger.com for latest price and offerings.